Competize puts you in control, even when under pressure. Communicate with the whole organization in an instant, keep your participants engaged. Deliver best-in-class organisation and get rewarded with great reputation attracting prestigious teams. Forget tons of emails and lengthy updates of your website. 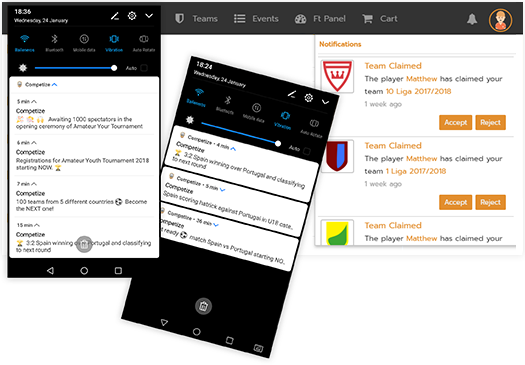 Communication with teams and participants has never been so easy! 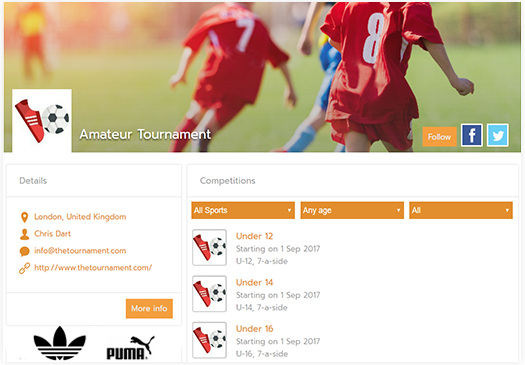 Post readily important information such as competition rules, venues, matchdays, contact details or last minute changes. Did you capture great moments from the inauguration of your competition? Did you snap pictures of some legendary goals? Or did you take some shots at the awards? 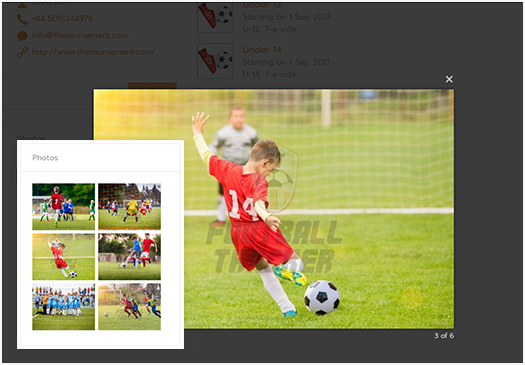 Post them readily in the gallery of your event or in the news section. Grow the base of your fans and followers! Get real-time updates on the start & end of a match. Keep track of latest results, including scores, cards & best player nominations. Follow easily any changes in the schedule and locations.